Back in November, Warner Bros. announced that Niantic, the game studio behind Pokémon Go, would be taking its brand of GPS-powered mobile games and applying it to the world of Harry Potter for a new app called Harry Potter: Wizards Unite. It’s scheduled to launch in 2018, and we now know it’ll be part of a larger push for new verse video games, which have largely fallen off since Deathly Hallows: Part 2 hit theaters in 2011. To that end, Warner just revealed a second Potter-themed mobile game that will be launching next year called Harry Potter: Hogwarts Mystery. Not many details about the project have been shared thus far. It’s being described as a mobile role-playing game that lets players create their own Hogwarts student and live out a full seven-year stay at the famed wizarding academy. But it appears Warner Bros. has more than just a pair of mobile games up its sleeve. 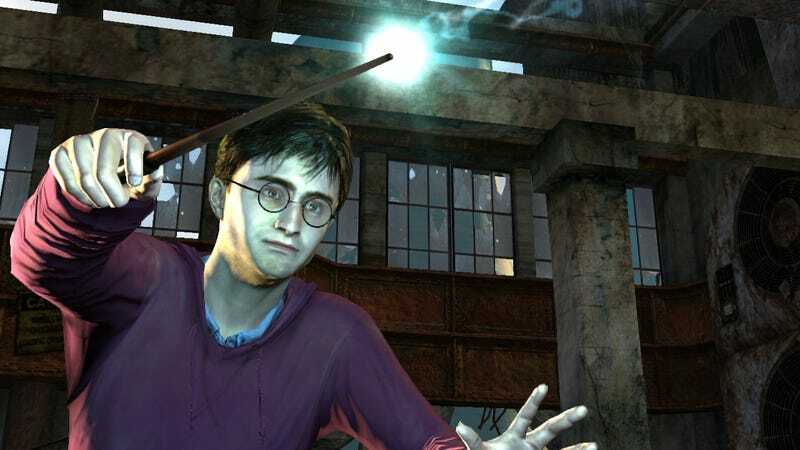 The company’s gaming division even opened up a sub-label called Portkey Games that will exclusively publish Potter-related titles, including Wizards Unite and Hogwarts Mystery. More exciting is the promise that Portkey is also working on console games, which may mean some bigger Potter projects will be announced in the near future. Warner has said it will use Portkey to bring back “familiar characters at different points in their lives.” Hopefully, those plans include the one game every Potter fan actually wants: a Persona-style high-school RPG set in Hogwarts.